Oxhandler, H. K. & Parrish, D. E. (In press). Integrating clients’ religion/spirituality in clinical practice: A comparison among social workers, psychologists, counselors, marriage and family therapists, and nurses. Journal of Clinical Psychology. Moffatt, K. & Oxhandler, H. K. (In press). Religion and spirituality in master of social work education: Past, present, and future considerations. Journal of Social Work Education. Oxhandler, H. K., Polson, C., & Achenbaum, W. A. (In press). The religiosity and spiritual beliefs and practices of clinical social workers: A national survey. Social Work. Oxhandler, H. K. & Ellor, J. (2017). Christian social workers’ orientation toward integrating clients’ religion and spirituality in practice. Social Work and Christianity, 44(3), 3-24. Holly K. Oxhandler joined Baylor University’s Garland School of Social Work in Fall 2014, upon completing her Ph.D. at the University of Houston. 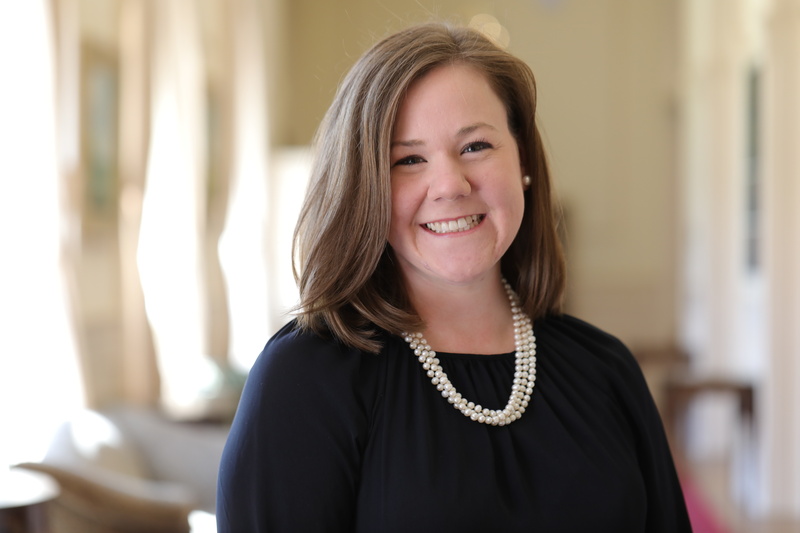 Her research focuses on the intersection between ethical and effective integration of clients’ religion/spirituality and the evidence-based practice process in mental and behavioral health treatment. She developed the Religious/Spiritually Integrated Practice Assessment Scale, which assesses mental healthcare providers’ (social workers, psychologists, counselors, marriage and family therapists, and nurses) attitudes, perceived feasibility, self-efficacy, behaviors, and overall orientation toward integrating clients’ religion/spirituality in practice. Dr. Oxhandler has clinical and research experience working with older adults with anxiety and depression at the Baylor College of Medicine, which included co-authoring a cognitive behavioral treatment manual and counselor workbook that integrates clients’ religious/spiritual beliefs into practice. Though the integration of clients’ religion/spirituality in mental health treatment is her primary area of scholarly interest, her scholarship has extended to or intersects with evidence-based practice, serious mental illness, social anxiety disorder, virtual reality, mentoring, and social work practitioners’ professional identity. Dr. Oxhandler’s research and training have been generously supported by the John Templeton Foundation, the Gulen Institute, and the Fernando J. Zuniga y Rivero Foundation. She is grateful for these sources of support, but is especially thankful for the invaluable mentoring she has received over the years. Because of her exceptional mentors, Dr. Oxhandler deeply enjoys paying it forward by mentoring students (BSW, MSW, and PhD) outside of the classroom with regard to professional development. She is married to Cory Oxhandler, and the couple is both proud of and grateful for their two children, Callie (2012) and Oliver (2016).